Life doesn’t always stop to wait for your coffee to brew. With schedules to meet and places to get to, you need your coffee and that means now. Keurig developed their K-cup coffee makers for that reason. You get a delicious cup of your favorite hot coffee in two minutes or less, depending on the machine. Keurig offers a handful of coffee makers for the home and a few more for businesses. They come in a rainbow of colors and a range of features that make it easy to find your dream machine. Here’s our take on the best K-Cup coffee makers from Keurig. 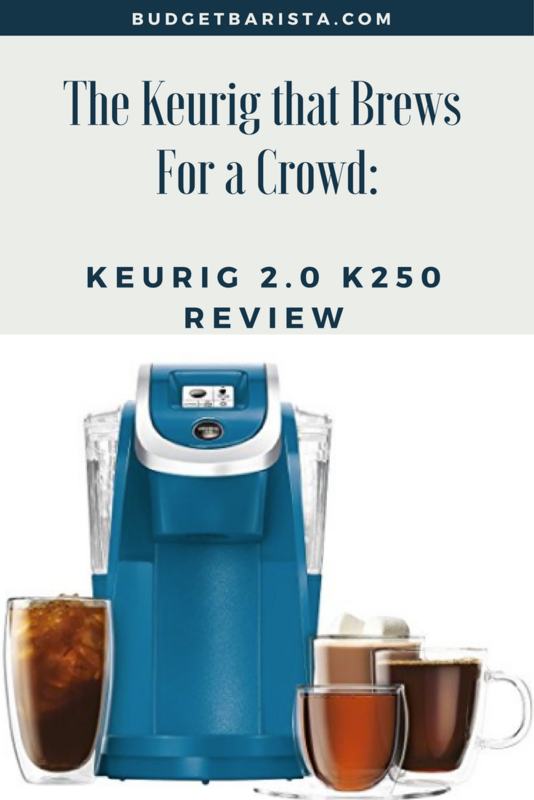 Our best pick is the K55, a machine that’s easy to use, is one of the most affordable models offered, and allows for multiple cups thanks to a removable water canister. 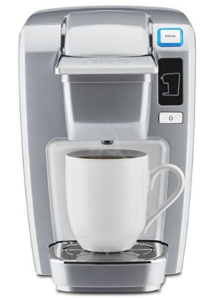 All Keurig machines work by heating the water, pumping the hot water through a K-cup that’s filled with coffee, and having the coffee trickle into the cup below the downspout. The only steps you take are filling the water reservoir, turning the machine on to heat the water, putting in the K-cup, and pushing the appropriate button or buttons for your brew. Stores sell pre-filled K-cups with Green Mountain Coffee Roasters, Dunkin Donuts, Starbucks, and other brand name coffees. A reusable K-cup is an option if you have a favorite blend that doesn’t come in a pre-filled K-cup or don’t like tossing out a lot of plastic. Keeping that in mind, some Keurigs do offer more functionality than others. 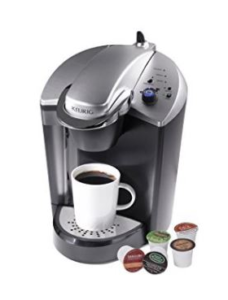 Here are the most important things to consider when shopping for a Keurig coffee maker. How much counter space are you willing to give up? Dimensions on Keurig machines differ. The K575 takes up the most space at 13.63 by 13.45 inches, while the K15 is just 6.9 inches wide and only 10.8 inches high. 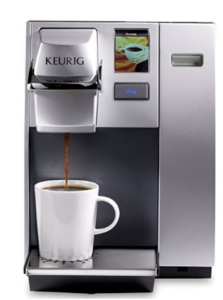 The K-cup coffee makers available from Keurig range from the simple to the complex. Very basic machines offer little in terms of technology. You’ll load a K-cup, press the button, and the coffee brews. More advanced models require more input. You need to choose your cup size, the temperature of the water, and the strength of the brew. Some machines even ask if you live at high altitude. 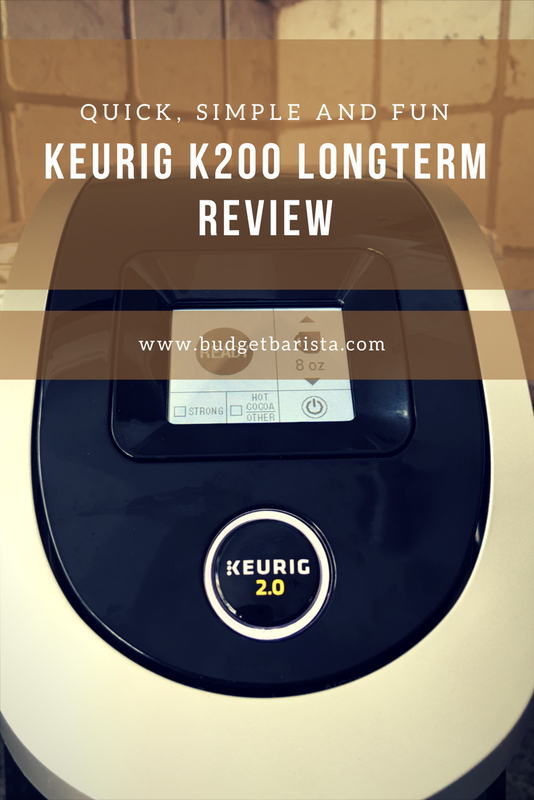 In 2014 and 2015, news stories circulated stating that mold, mildew, and bacteria were a big problem with Keurig machines. Cleaning your machine regularly with white vinegar or Keurig Rinse Pods eliminates any risk. Machines with removable water containers are easier to clean that machines that do not have a removable container. Technology varies greatly. Some of the Keurig coffee makers have touchscreen controls. Others rely on buttons or dials. More advanced makers have clocks, timers, altitude settings, and language settings. Some models even have computer scanners that scan the K-cup and set the machine for that specific hot beverage. Size matters. Some Keurig machines hold just enough water for a 10-ounce cup of coffee. When there are more people in the house or one cup won’t get you through the day, choose a machine with a large reservoir or an adapter that connects the machine to a water supply line. The Keurig K55 is a no-frills machine. 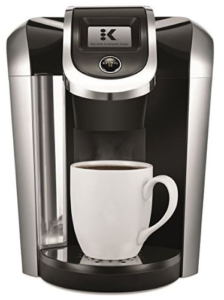 Fill the 48-ounce tank, put in the desired K-cup, push a button, and out comes the coffee. Pros: There are three cup sizes to choose from: 6, 8, or 10 ounces. If you forget to turn off the coffee maker after you’ve made a cup, it shuts off after two hours of non-use. This is a dependable, affordable machine. It’s sturdy build and lack of technology keeps it running problem free for years, if not decades. Cons: Don’t expect a customized cup of coffee. There’s no way to control the temperature of the water with a K55. It heats to one temperature. You also have no control over the strength of the brew. 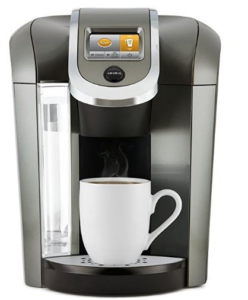 Here’s the Big Daddy of all Keurig machines designed for home use. It’s the best choice for households where coffee is an all-day treat. Expect to pay $150 to $180. Pros: This model is packed with special features that you control on a touchscreen display. Set the timer and wake up to a fresh cup of coffee. Choose the temperature of the water through one of five settings. Store your favorite brew settings, too. The water tank holds 80 ounces. It’s also set up to brew up to 4 to 30 ounces at a time. Make a cup or make an entire pot with ease. When the machine needs maintenance, it tells you. It also allows you to set the touchscreen menu to English, French, or Spanish. If you live at a high altitude, there’s even a button for that. Retractable cord storage keeps clutter to a minimum when the coffee maker is not in use. Cons: This is the largest of the Keurig machines. The K575 stands 13.45 inches tall, 13.63 inches wide, and 10.43 inches long. It does take up a bit of space on a counter. 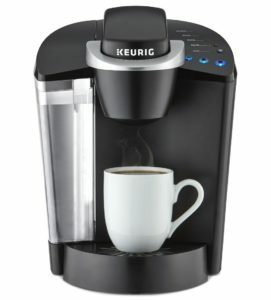 While the K575 comes with six K-cups and two water filters, it doesn’t include the Keurig carafe. The carafe will cost you another $25 to $30. The K250 K-cup coffee maker is sleek. Plus, the attractive design doesn’t take up much space. What’s more important is that you have a choice of nine colors: Black, Imperial Red, Oasis, Peacock Blue, Plum Gray, Sandy Pearl, Turquoise, Violet, and White. With sale prices and discounts, this machine is in the $125 to $150 range..
Pros: The K250 is a highly automated machine. There’s a built-in scanner that reads the label on the K-cup and sets the machine for a precision brew. The coffee maker is able to brew cups of coffee and full carafes. Note that the carafe is sold separately. Control the strength of the coffee with ease. You also choose the size of your cup and whether you’re making a specialty beverage like Chai or hot chocolate. Cons: The water reservoir on the K250 is smaller than most at 40 ounces. You’ll need to refill it with water after four cups. The scanner looks for the code on a K-cup before it brews. This can make it difficult to use a reusable K-cup filter or non-Keurig brand K-cups. Our tip is to buy the stickers that cover the barcode and avoid this issue. The Keurig K155 Office Pro is meant for a small office. It’s designed for repeat use throughout the day. Retailers sell this K-cup brewing system for approximately $240 and $260. Pros: As the K155 is designed for repeat use, coffee brews faster than other models. It’s also designed to brew quietly and not disrupt meetings or phone calls. The 90-ounce water reservoir holds a lot, but it can be connected to a water supply line. There’s a drain button that removes all water from the unit if it needs to be moved. The coffee maker’s technology allows the user to pick one of four cup sizes (4, 6, 8, or 10 ounces) and several strength options. Cons: The size and weight of this coffee maker are larger than with most Keurig models. The surface it sits on needs to be able to hold 18 pounds plus the weight of the water. With a retail price in the $140 to $150 range, the Keurig K475 is a solid model for all it offers. Pros: Brew up to 30 ounces of coffee at one time. It also comes with a water filter handle that makes filling the 70-ounce water tank easy. The K475 has a 2.4-inch touchscreen that’s used to choose the cup or carafe size, water temperature, and brew strength. Make a strong, espresso-like coffee or choose a mild brew. Technology is key with the K475. Technology tells you when the machine needs maintenance. It turns it on and off when you request it. There’s an energy saver mode that turns the machine off when it’s not being used. Cons: Like the K575, the coffee maker does not come with the carafe. If you want the ability to brew full pots of coffee, you’ll need to buy the carafe separately. The touchscreen is a perk, but it also has a downfall. At 2.4 inches in size, its small print is hard for some people to see. 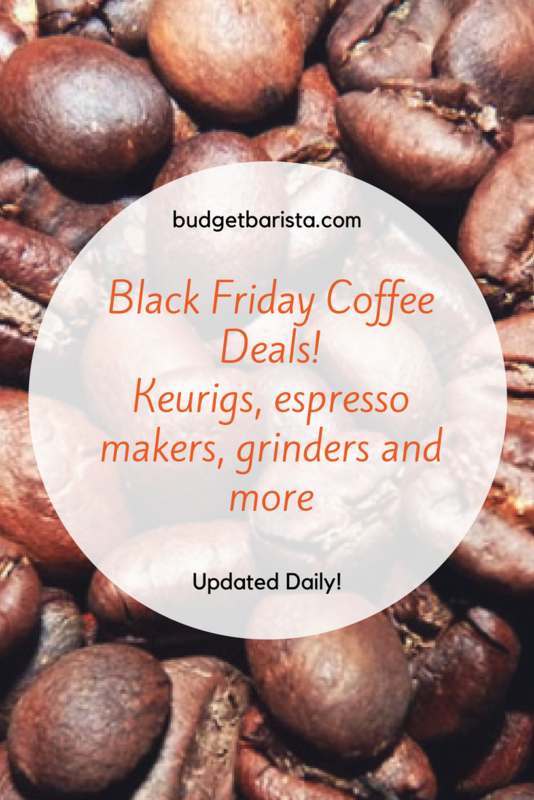 Find the Keurig K140 for $125 to $150. This is a coffee maker designed to stand up to high-volume use every day, but it’s not going to cost your business a lot for that durability. Pros: The K140 has a water reservoir, so you can make multiple cups in minutes without having to refill the water tank and wait for the water to heat up. There’s a drain button if you need to quickly empty the tank before moving it to another location. Cons: The coffee maker does not allow for much customization. The only choice you make is the size of the cup of coffee. 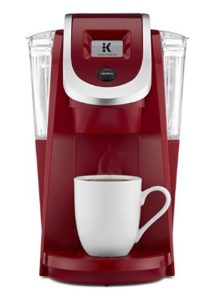 The K15 is a single-serve Keurig coffee maker. It’s also the least expensive Keurig in the $60 to $100 range. Pros: The K15 is small. It’s only 6.9 inches wide and 10.8 inches high. The coffee maker brews three cup sizes: 6, 8, or 10 ounces. If you’re looking to match kitchen décor, you’ll love that it comes in seven color options. Cons: This is a one and done type of maker. The water tank must be filled for every cup of coffee. If you want a second cup, you need to get more water, fill the tank, and wait for the water to heat. You’re not going to fit a cup larger than 5 inches under the downspout. If you have a large travel mug, you’ll be making coffee in a separate cup and transferring it. On average, the K15 has coffee ready in two minutes, which is not as fast as other coffee makers.